World’s most beautiful gardens: Seychelles’ National Botanical Gardens - Progettazione giardini - Soluzioni di qualità per il tuo giardino. Today I would like to write about the most beautiful gardens in the world, real natural paradises. 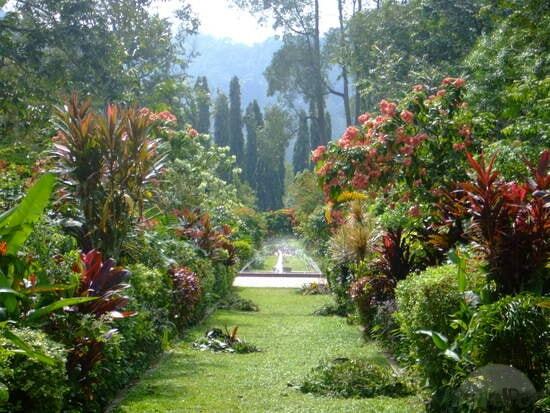 Among these wonders the magnificent Seychelles‘ National Botanical Gardens stands out. Also known as the Jardin Botanique du Mont Fleuri, it is an ‘old lady’ but with modern spirit. The National Geographic magazine has included it among the 10 most beautiful gardens in the world. It was born in 1901, created and signed by Paul Dupont with the aim of cultivating – in the climate of the Seychelles – plants useful to agriculture and to the economy of the time. It maintained its old geographic structure and now has become a National Monument which is open to the public and develops the cultivation of endemic species. More than 30,000 visitors every year are attracted by this natural paradise and take photos with giant turtles that people can even touch inside a large enclosure, in the shade of a majestic tree. Among the different ornamental species of this botanical garden the slender Cyrtostachys renda stands out, as tall as a two-floored house on a stalk of a few centimeters, also called Lipstick Palm because of the scarlet base of its leaves; the Bottle Palm (Hyophorbe lagenicaulis) of Mautitius, with the stem similar to a big bottle of champagne and the Fan Palm of the Fiji Islands (Pritchardia pacifica). The garden contains 14 enormous blocks of granite 750 million years old and winds across the large main avenue leading from the entrance to the adjacent forest. In the background the Trois-Frères peak. At the bottom of the park a huge breadfruit will immediately be noticed (Artocarpus altilis) loaded with fruits. There is then Ravenala madagascariensis to be discovered, known as traveler’s tree or palm of the traveler that in spite of its appearance and its name, is not a palm, but a herbaceous plant, belonging, like the strelitzia and banana trees, to the Musaceae family. 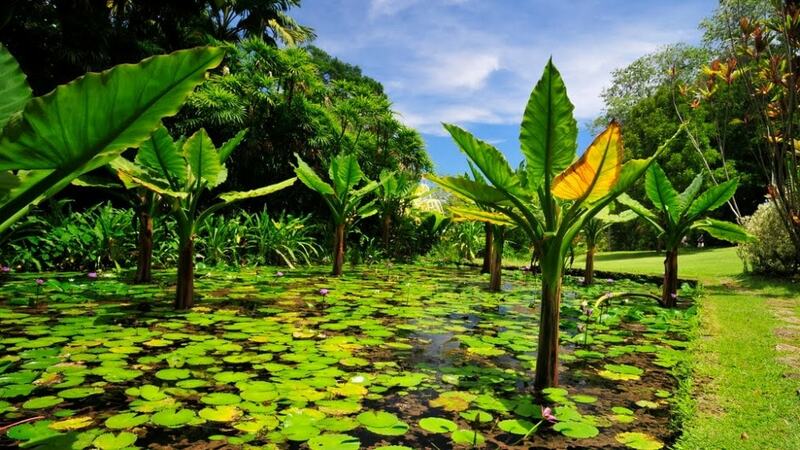 In the Botanical garden there is also a beautiful pond with water lilies and an unusual Aracea with his feet in the water and a Typhonodorum lindleyanum from Madagascar, both are plants with colorful flowers. Finally a collection of colorful orchids cannot be missed, including native orchids of the Seychelles. In the evenings it is very nice to sit on one of many available benches and watch the sunset, everything takes on another aspect and as far as possible becomes even more fascinating. If you are planning a trip to this natural paradise, I recommend you to organize a day in this wonderful garden. DO YOU LIKE OUR GREEN ARCHITECTURE PHILOSOPHY? CLICK HERE TO SEND YOUR REQUEST!! Hello, can we help you? Click here and send us your request. You'll receive a customized advice as soon as possible. Thank you!"